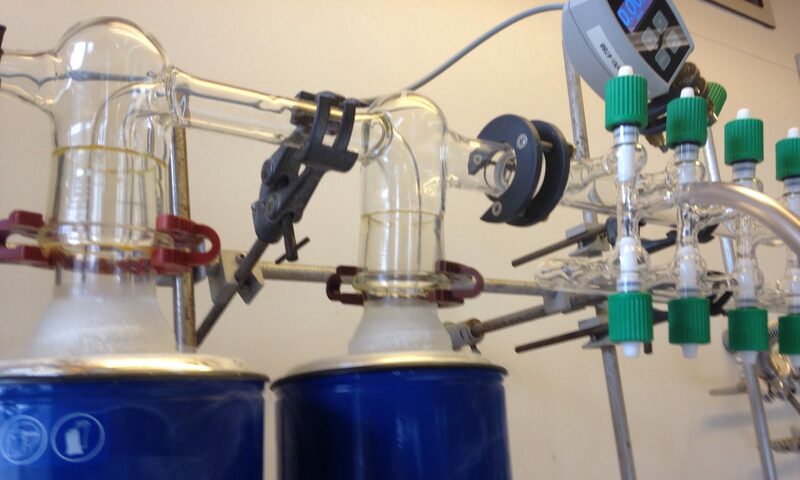 Manuscript on the highly efficient epoxidation of vegetable oils catalyzed by a manganese complex with hydrogen peroxide and acetic acid is now online. Mansucript on the Re-catalyzed deoxydehydration of diols and polyols is now online. We are very thankful that a material cost allowance has been granted by the Fonds der Chemischen Industrie. Sarah Bete has joined the group as a master student. Welcome Sarah. Manuscript on ‘Non-Heme Iron Catalysis with a Rigid Bis-Isoindoline Backbone and Their Use in Selective C-H Oxidation’ is online as an accepted article in Advanced Synthesis and Catalysis. Matthias received a research grant from the DFG to study the chemistry of hetero-sequenced cages as bio-inspired catalysts. We have an opening for a PhD student. For more information see `Open Positions´.